Malignant Peritoneal Mesothelioma - What Is It? Malignant Peritoneal Mesothelioma – What Is It? Malignant peritoneal mesothelioma is a dangerous, relatively rare cancer that grows in the abdomen. The mesothelium is a membrane that covers organs. When most people hear the word mesothelioma they think of asbestos lung disease. 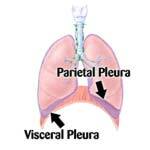 The type of mesothelioma that affects the lungs is called malignant pleural mesothelioma. Somewhere between 2,000 and 3,000 new cases of mesothelioma are diagnosed each year in the United States. About 75 percent of mesotheliomas start in the chest cavity. 10 to 20 percent begin in the abdomen. In extremely rare cases mesothelioma cancers start around the lining of the heart or testicles. Asbestos is the main culprit in these cancers. People develop mesothelioma asbestos cancer decades after exposure. Other factors like genetics also play a part. Some people who have been exposed to a great deal of asbestos never get mesothelioma, while some who have had brief exposure do develop this cancer. Scientists do not yet know how the asbestos causes the cancer. People with malignant peritoneal mesothelioma are likely to experience swelling in the abdomen because of fluid buildup. They may have nausea, vomiting and weight loss. Belly pain is another symptom of malignant peritoneal mesothelioma. Because mesothelioma affects the membrane surrounding the organs, it is very difficult to treat surgically or with radiation. People who develop mesothelioma often show no symptoms until the cancer is in more advanced stages. As a result, mesothelioma life expectancy has been a brief 4 to 18 months after diagnosis. Newer treatments cannot cure mesothelioma, but they are able to slow the progression of the cancer. The drug Alimta became available in 2004. Alimta is sometimes combined with another drug named Cispltain. Together these two medications help destroy cancer cells and slow the rate at which they grow. Chemotherapies like these are now able to extend the lives of people with malignant peritoneal mesothelioma.